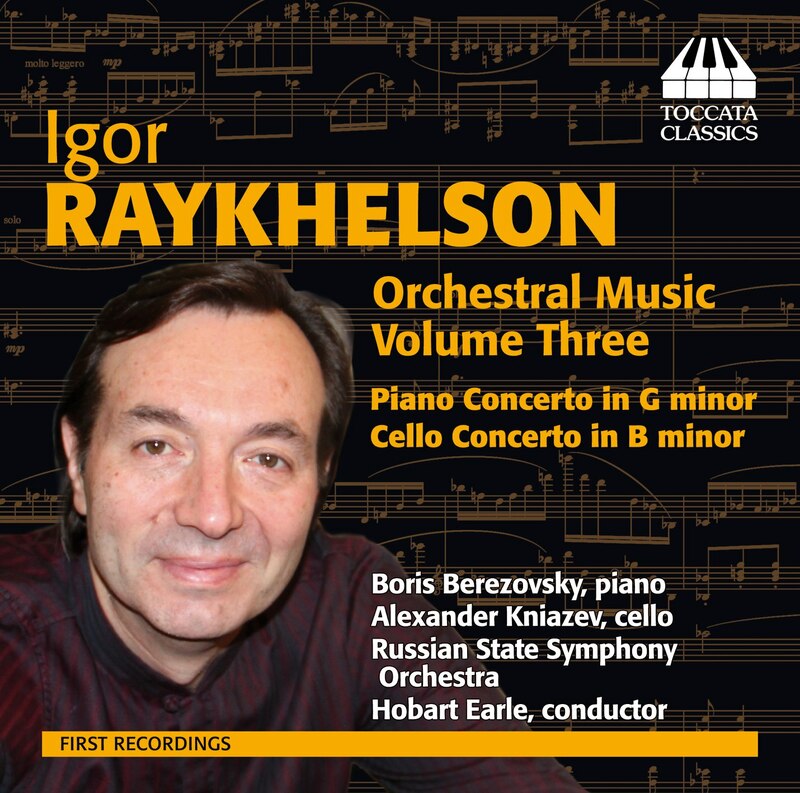 In his early days the composer-pianist Igor Raykhelson – born in Leningrad in 1961, once a New York resident and now based in Moscow – studied both classical and jazz piano. Both influences have combined to create a uniquely personal, Rachmaninov-plays-the-Blues Neo-Romantic style: not only is Raykelson unafraid to write a good tune- it’s clear right away whose tune it is. 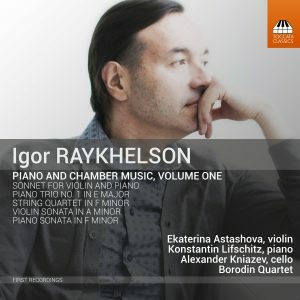 And in his chamber and instrumental works, the parlando manner that Raykhelson absorbed from jazz becomes particularly effective. 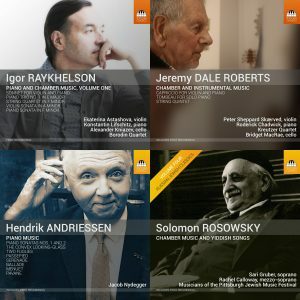 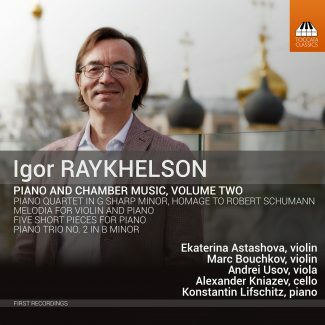 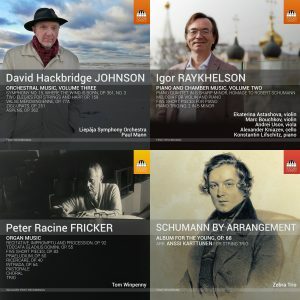 Raykhelson’s chamber music is usually written for his friends, and here he is joined by some of Russia’s finest musicians, including the cellist Alexander Kniazev and the pianist Konstantin Lifschitz- and the violinist in Raykhelson’s lyrical ‘Melodia’ is his wife, Ekaterina Astashova.